The group of people who have the toughest time shopping for a mattress is couples. They not only have to get the comfort level right for each partner but there are two other big factors they must consider in order to have a great night sleep. 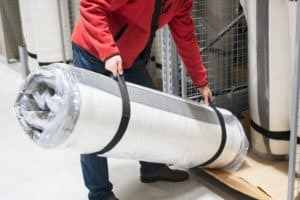 I am going to go over the two issues they face when shopping for a mattress and give my recommendations to help point them in the right direction. If you share a bed with your significant other always choose a king size mattress. Even if it takes up the whole room. For ten years my wife and I slept on a queen size mattress and when we finally upgraded to a king size we were instantly on cloud nine. Sharing a queen size bed with someone only gives you 30 inches of personal sleeping space, which is 8 inches less than a twin size mattress. 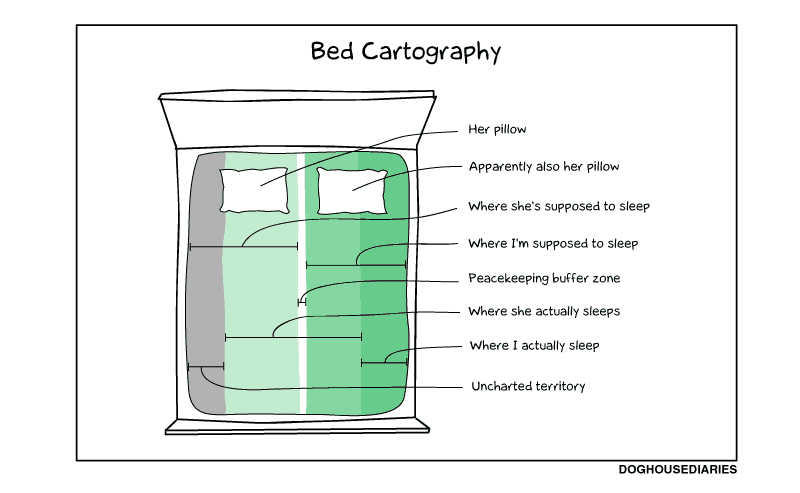 And if you and your spouse are sharing a full size mattress then you each have about the same sleeping space as the width of a crib size mattress. I’m sure you don’t want to literally sleep like a baby. So rule number 1 always opt for a king size when you are sharing your bed. You may have heard Tony Robbins say that just before he got you fired up and ready to take on the world but it’s true. It’s true in life and it’s true in bedding. If you have ever been woken up by your significant other because of their tossing and turning causing the whole bed to shake, then you know very well their motion has stirred up a whole lot of unhappy emotions with you. If this is an issue for you (which it is for most couples who share a bed) then your choice of mattress should either be a memory foam mattress, a latex mattress, or a pocketed coil mattress. A memory foam mattress provides the least amount of motion transfer, which is then followed by latex and then followed by a pocketed coil mattress. My wife and I used to own pocketed coil mattress and although we couldn’t feel each little movement one another made we were able to tell when the other got out of bed. When we upgraded our mattress to a latex mattress we could no longer feel the other getting in and out of bed. Each of these three types of mattresses will do a good job of separating the motion so it will be up to you to find out which is most comfortable to you. 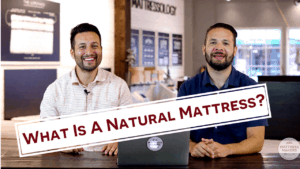 If you can think of any other issues couples face when shopping for a mattress leave them in the comment section below as we would love to help you out.